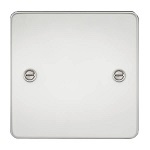 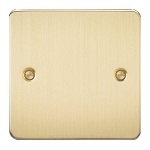 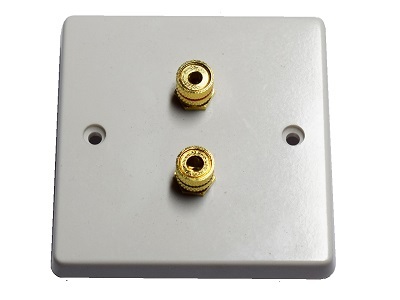 Single gang speaker plate available in White, Black, Brass and Chrome finishes with banana & binding post connectors with screw terminals on the back for easy connection of the speaker cables. 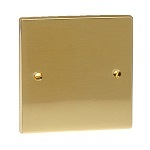 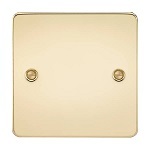 The plate has two gold plated binding posts that also accept 4mm banana plugs should you wish to use them. 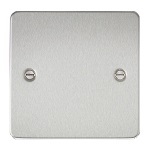 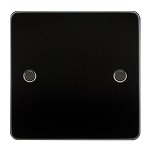 Speaker plates offer a professional connection point between speakers and the AV receiver, they are used when a permanent cabling installation is required. 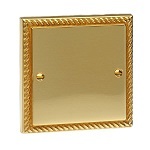 We provide a variety of decorative plates however if you have a specific plate in mind please contact us.